Welcome to Dance City where you can realise your dancing dreams. Dance City is your space to learn, relax, get fit, meet new people and be inspired. We have 60+ classes each week, one-off workshops, the largest programme of dance performance outside of London in our gorgeous theatre and a Learning Academy offering formal, professional, dance training at all levels from age 10 to postgraduate level. 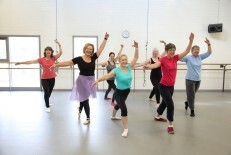 We also offer a vibrant program of classes specifically designed for over 55’s. We pride ourselves on being for everyone so even if you’ve never danced before you’re welcome here. If you’re returning to dance after a break then welcome back, after a few classes it will all come flooding back to you! If you want to dance but don’t know where to start why not pick up the phone or pop in to talk to one our friendly dance experts in the Ticket Office? They can guide you through choosing the perfect class for you and get you booked in. We have specific classes for ages 55+, and we’re happy to discuss and additional needs that may require support. For those new to dance, or back after a hiatus, why not try our beginner’s classes in Tap, Ballet, Cuban Salsa or Pilates? For those with more experience join our intermediate class in Tap, or our improvers in Ballet? When you arrive please pop into the Ticket Office to collect your ticket so you can hand it to your teacher. Please let your teacher know if you have any health issues or injuries before the class. Please arrive in plenty of time, latecomers may not be admitted as we don’t want you to miss the warm-up. After your first class you’ll receive a follow-up questionnaire, it’s really helpful for us to know we’re giving you the best experience possible so please complete it. If you’re not sure the class was for you then don’t despair, please talk to the Ticket Office and they’ll help you find another option. If you’ve found the right class for you then hooray! We hope you’ll see the benefits of joining a class regularly and if you buy 4, 8 or 12 classes in advance you can save up to £2.25 per class. 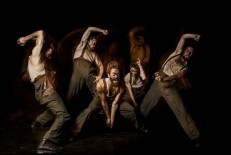 We’re the North East’s leading theatre for dance and have the UK’s biggest dance performance programme outside London. We show a wide range of work and whether you’re a regular dance attender or completely new to dance we’ve got something for you. Enjoy more for less by taking advantage of our offer – receive 20% off when you book 2 or more shows. You can also see shows for just £9.50 or £8 for students and under 18s. Join us for a free post-show talk and hear more about the works from the companies, choreographers and dancers themselves. Talks last just 15 minutes and usually take place on the opening night. Check website listings for details.